Experts agree that not taking adequate time off makes us less healthy and productive in the long run, but still, here we are, working. 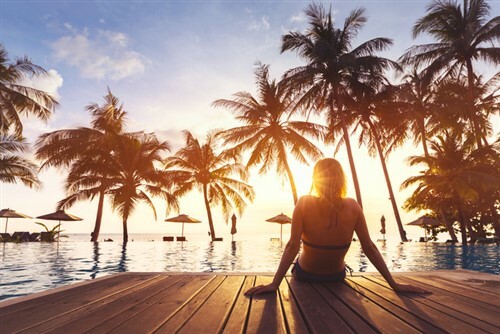 OpenWork recently put together a list of four ways you can make a vacation happen without having to worry you’re messing up your career. It really doesn’t benefit the company for bedraggled, worn-out employees to be dragging their exhausted selves through all the work that needs to be done. As a manager, make sure to talk to your staff about how important taking vacation time is in order to maintain the level of performance the employees want to deliver and that the company counts on. If it’s you who needs a break, communicate honestly and openly with your superiors, letting them know what you need to remain fully charged-up and on top of your game. It may well be that you’re the only one who knows how to do your job. But others may be able to do critical parts of it for you while you’re out, at least well enough to avoid catastrophes. Don’t be afraid to delegate — others can return the “favor” when they go away. The productivity blog MeetEdgar suggests keeping an internal company wikigoing in which everyone lists what they do for situations just like this. The wiki can help others know what you do, help you figure out people to whom you can delegate, and can keep tasks from falling dangerously into the cracks while you’re gone. You have an autoresponder feature in your email app, right? Use it to let people know you’re away. And take a tip from Foundry Group, who suggests setting up your autoresponse message to include what will or won’t happen with incoming messages while you’re on vacation. Include your return date (+1 day, as noted below) so senders can know when to try you again. The autoresponder can also automatically archive incoming messages so that when you come back to your Inbox, it won’t be immediately soul crushing. Give yourself a break by adding a day to your actual return date in your autoresponse — not everyone needs to know you’re back at the office the moment you walk in the door. Give yourself one day to get everything back in order, and wait to respond to noncritical business until the following day for a smoother reentry. Remember, while taking a vacation is a reward you’ve earned, it’s also part of your job in a funny way: it helps keep you healthy, calm, and ready to do your best work ever.